Being able to control and balance both, costs and quality is one of the material prerequisites for success in the automotive industry. In addition, the industry is characterized by quick trends and growing environmental awareness. This requires attributes such as flexibility, standardization and energy efficiency. To help OEMs with these challenges, Bosch Rexroth offers the full range of automation systems from one source. 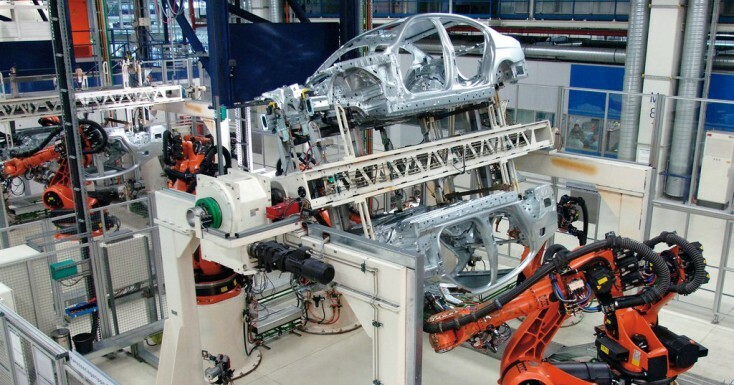 Our solutions are used in all production and assembly steps - from press shop to body shop to paint shop, and from powertrain to final assembly. Long-standing experience in the industry enables Bosch Rexroth to quickly adapt products to the changing needs of the market. One example of how the company does this are the resistance welding systems developed specifically for the automotive industry. These systems have mastered the challenge of using different materials - which makes them so important as product life cycles are getting shorter and shorter. Moreover, Bosch Rexroth consistently opts for open and globally accepted standards, thereby promoting a shorter time-to-market. To lower the users' energy consumption, we offer products such as Sytronix and IntraMotion MTX ega, along with a systematic approach to energy efficiency that we call 4EE – Rexroth for Energy Efficiency. Thanks to all this, our customers enjoy consistent quality and a global partner - anywhere the worldwide automotive industry needs us. This includes qualified contact persons who will look at all process steps and come up with the best possible solution. In addition, there are cross-technology solutions with optimized interfaces that save energy to boot.